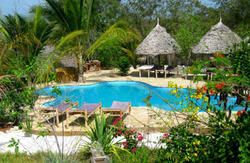 Backpackers, kitesurfers and barefoot lovers will adore the easy retreat oasis of Demani Lodge. 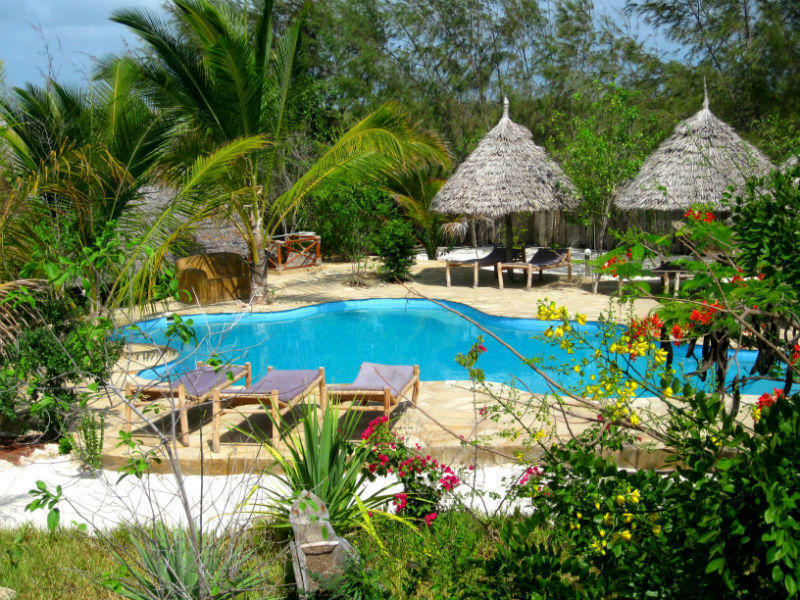 Demani's lush garden and easy access to the island's most beautiful beaches is topped by flexible accommodation with double rooms, singles, triples, family room and a 6 bed and 8 bed traditional makuti dorm room, in addition to our new doubles and triple with bathroom ensuite. Demani's easy vibes and fresh ocean breeze keeping things cool after days of Zanzibari adventuring. Take a swim in our swimming pool, relax in the garden oasis and feast on the restaurant's offerings, a host of local delights fresh from the ocean. Easy budget, easy traveling, easy vibes guaranteed at Demani! Please contact Demani Lodge, by email or phone or sms after booking to advise of arrival time and book transport if required. 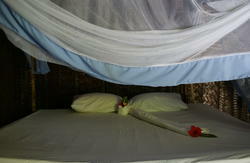 Paje is situated 45km from the Airport in Stone Town. We are less than 5 min drive from Paje Junction on the Jambiani Road, direction south. There are three daladalas, local buses, running between Stone Town and Paje/Jambiani. Pick-up can be organized for an extra charge.